I had no idea what to expect from this title. The last series I read of Holly's was the Black Cat series on Curseworkers so this seemed like it might be a fairytale mash-up/remake. It sounded interesting and unique plus I love Holly's previous work. 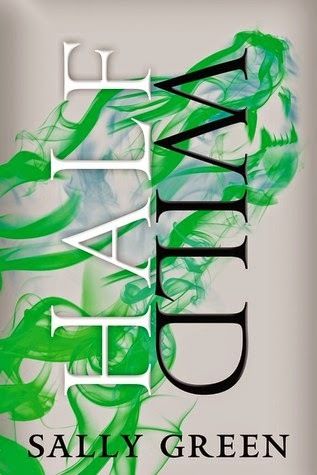 How do I even describe this novel? It was so bizarre at first. There are a lot of things going on and Hazel has flashbacks of her childhood with Ben as she tries to unravel the mystery of the boy in the glass coffin....especially once he wakes up. What is her role in his disappearance and is he really the sleeping hero that they have always portrayed him to be or is he much more sinister than that? What I liked about this novel was that it was completely unpredictable to me. Hazel was a much more complicated character than I had first imagined and while I thought the story would centre more around the mysterious horned prince, I was mistaken. 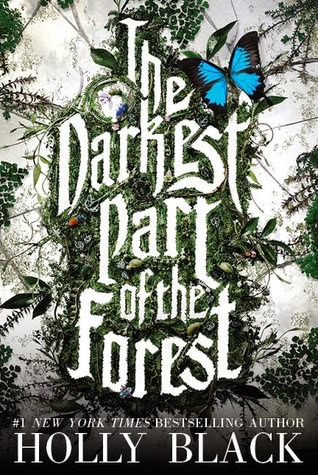 Give The Darkest Part of the Forest a read if you are looking for a unique stand-alone and prepared to dive into something unusual. I enjoyed it! On a side note, have you ever taken the time to read an author's dedication (at the beginning) and notes (at the end of the book)? Often I see names of other familiar authors that I have read. It makes me feel like I am part of some exclusive club without paying a ridiculous initiation fee. It is also a great way to find other authors you may enjoy along the same genre vein. Parents, there was a little bit of language but not much. 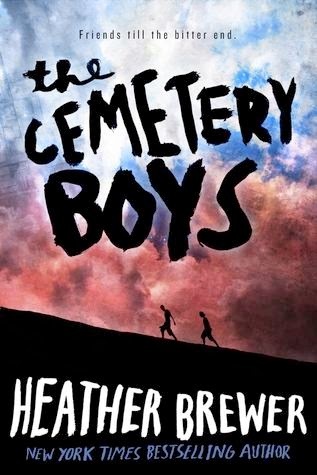 How to describe 'The Cemetery Boys'? Lets go with a pinch of Poe; a soupcon of King and a liberal dash of weird and we might just about be there. This is a strange book that was more than a little disturbing. I'm not even sure that I really enjoyed it, but I have to admit that I read it pretty much in one sitting and never considered putting it down. It's not quite horror, not quite supernatural, but very atmospheric and quite engrossing. Cara and Devon are strange - very strange and the way they warp Stephen's mind is so disturbing. Even after finishing this book I'm not entirely sure what happened. And what's with the crows? Seriously! I almost feel that I need to read it again to find out if I missed anything. Have you ever been to BEA, if so what was your favorite experience there? Is there such a thing as a dystopian fantasy? I'm not really sure there is, but that's the only way I can think to describe 'Gates of Thread and Stone'. There is a definite fantasy feel to the story with Kai being able to manipulate time the way she does, but she and her brother live in a freight container 'suburb' in an old broken-down city, which gives things a definite dystopian feel. See where my confusion comes from? Anyway, there is some very complex world building going on here and Ms Lee was very successful at it. When Kai and Avan are spending some time with Famine in his compound I had no trouble at all picturing the strange environment. Well done Ms Lee. Kai is a tough, resourceful girl who will accept help, but doesn't always need it and her relationship with Avan though born of neccessity was heart wrenching and tender. I was intrigued by the story from the start and the pacing really never slowed down. 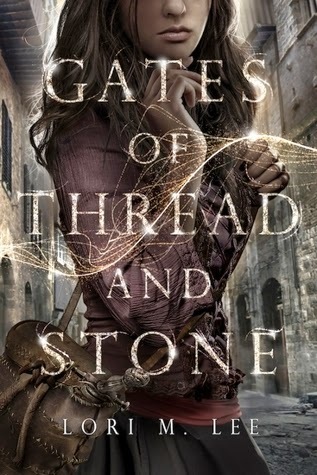 'Gates of Thread and Stone' is both thrilling and romantic, mysterious and gripping and the story keeps the reader wanting more. So I'm off to read 'The Infinite', which just came out a week or so ago - I can't wait. It has been ages since Curlypow and I have done a double-take! So much fun! 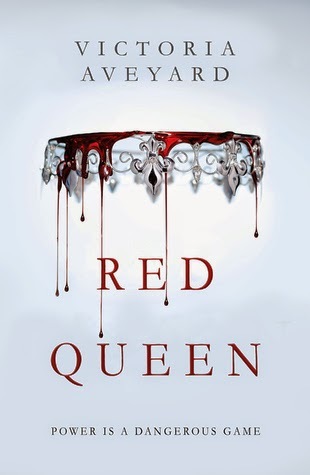 So I had only recently heard about Red Queen and what made me intrigued was that I had read some interesting Twitter feeds about Red Queen so I grabbed it from the library and flew through the novel. Red Queen is based around the idea of a caste system divided by blood type. Royal blood is always silver but towards the end of the book, we also learn that silver blood has its own hierarchy and even though you are born silver, it does not necessarily mean that you are upper class. Something that I found fascinating in this society was that conscription occurs across both genders. In the past, conscription only applied to males. Here, it applies to both males AND females. It makes me wonder if we were to experience World War III, and countries installed conscription, if both males and females would be included. Societal values have changed much since the last World War. Good point there Christinabean. The abilities of Silvers reminded me of X-Men (Steelheart by Brandon Sanderson)while Mare and her unusual skills reminds me of The Grisha trilogy by Leigh Bardugo. Mare may be the one person who will change everything. Let's talk characters. There will be spoilers...just saying...for those of you who have not read the book. Mare. OK, this girl can be so ridiculous. Was she friends with America Singer from The Selection in another life? Something tells me they would have gotten along famously. Sorry, I never did get around to reading the Selection so I can't say, but she certainly was determined. Cal. I like him. He sounds like he has a good head on his shoulders. He exhibits emotion and character. I would have liked to see more interaction between him and Mare. 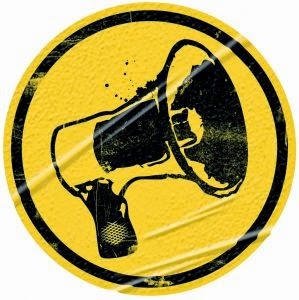 More talking!- less fighting and assumptions. Maven...hmmm...well what can I say about Maven. I was disappointed in him. Maybe his attitude will change with future titles. To have all of that hostility and resentment build up through the years. And at the end, what he and his mother plot to do was hard to read but if he is like his mother, perhaps understandable. Was she really that wicked?? Yes I think she really was that wicked! Something that bothered me about this book was the pace in which Maven and Mare connect to assist the rebels is much too quick. I would have expected the author to develop a relationship and a degree of trust and put this in the second book. After reading Book #1, I understand the urgency of this event to happen but it was like they were strangers one minute and then plotting together AGAINST the monarchy the next. Did I miss their connection or was it absent from the beginning? When did she really start to trust him? I felt more of a connect with his brother than with Maven. I have to agree there, I much preferred Cal to Maven. There was something just a little too smooth about Maven for my tastes. True, the book was a little bit predictable but still an enjoyable read for me. It was not as smooth as I would have liked but still a highly recommendable read. I am eager to see where the story leads and I want to see the author do more world and character building. Plus, we as readers really need to see what Mare can do with her powers. I enjoyed this one too. I kept questioning why Mare was doing what she was doing, but the story made sense in the end. I look forward to seeing more of these characters. 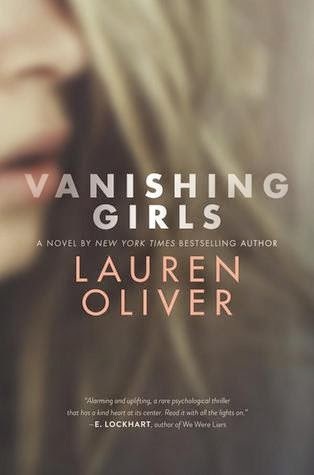 I am excited to read this title because Lauren Oliver was one of the first contemporary YA authors who inspired me to keep reading YA. Her novel - Before I Fall was so touching. It made me laugh and it made me cry. It made me contact her and tell her how beautiful her writing was and most of all, it made me inspired to keep on reading. 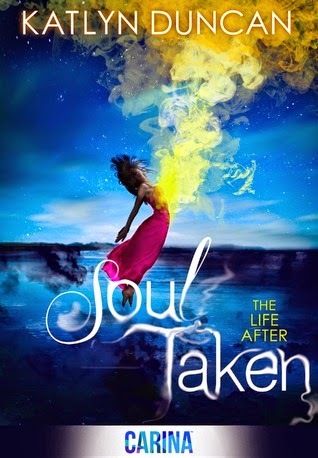 But, as a descendant of the most powerful beings in the After, Maggie must rescue Ally before the girl’s soul dies... To survive, Maggie must uncover devastating secrets – because with one soul taken by a terrifying enemy, Maggie’s could be next! What an intriguing version of the afterlife. Ms Duncan has managed to come up with a unique and different version of what happens to you after death, and I found it plausible. I was able to suspend disbelief and become engrossed in the characters and the mystery. The characters were fun, with just enough going on that made them seem believable. One of the aspects that I really enjoyed was that Maggie is a little different from the others, but we don't really know how different until almost the end and unraveling her story became quite compelling. I really wanted to know what was going on and why things were happening to her. Love interests? Yes of course there are, this is a YA story after all, but it's neither instant nor even really obvious in the beginning and is definitely not the focus for the story. No, that's wrong - it is the focus, but it is a thread that, once pulled, has to be unpicked carefully or everything will fall apart. People know more than they are saying and Maggie is being kept in the dark, which makes it really difficult for her to do her job, but she keeps going and doesn't give up. I'm looking forward to reading Soul Possessed to find out just exactly what's going on in this interesting world. I'll keep you informed. 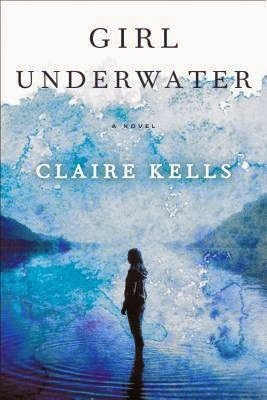 Told in a series of flashbacks, Girl Underwater took me completely by surprise - in a good way. This is a contemporary story with a thread of tension that just never lets up. I'm not normally a huge contemporary fan, but with this one I sat up way past my bedtime, determined to find out just exactly why Avery feels so incredibly guilty about surviving the crash. There's something more to it than survivor guilt and I was completely hooked. The reader gets to find out what happened in little dribbles - it's a bit like offering the donkey a carrot on a stick. The story just keeps dangling out of reach and you have to keep reading to find out the answers. I found myself empathizing with Avery and cheering her on, even while not fully understanding her pain and also getting mad with her at times. Colin is a bit of a handsome enigma and I enjoyed getting to know him as well. It's hard to pigeonhole 'Girl Underwater'. Let's call it a thrilling, suspense-fully mysterious romance and that might just about cover it. A great read. I have been seeing a lot about this book recently. 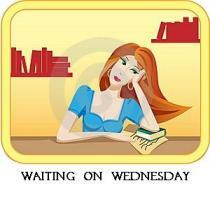 I am new to the Jodi Meadows series but her Newsoul series has been on my TBR list for ages. During a tourist trip to Mont Saint Michel in Normandy, France, 17-year-old Katelyn Michaels is confronted by two unusual young men, one who insists she is there to save the mount, and the other who will stop at nothing, even murder, to prevent her from fulfilling her destiny. When the oddly-dressed but alluring Nicolas slips Katelyn a strange medallion, she is whisked back through time with him to the 15th century where her Watchmen hosts tell her she is the only hope to save Mont Saint Michel from the invading English armies. Even worse, she learns those armies are led by a fallen angel intent on learning the mount's closely-guarded secret. filled with words I can only imagine, but they are lost forever. and concocting poems just like my father. I loved how—like colors—words could create somber scenes or capture bright, blissful moments. be young or old, don’t come away with a desire to visit Mont Saint Michel (see my photos of the mount on my website at: www.kathleencperrin.com), then I have failed miserably! they have a cottage—and have taken tourists to Mont Saint Michel. 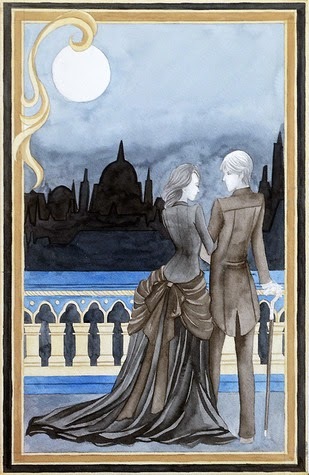 Short Story about Tessa, Jem and what happened after that meeting at Blackfriar's Bridge at the Epilogue of Clockwork Princess. 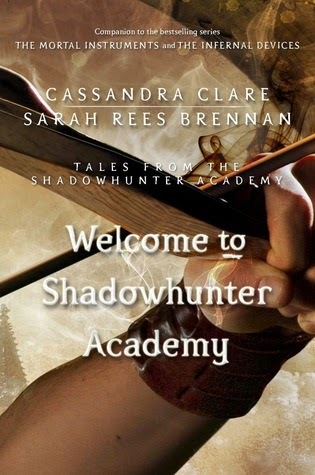 Thank you Cassie...for giving us Shadowhunter fans one more thing to be happy about. 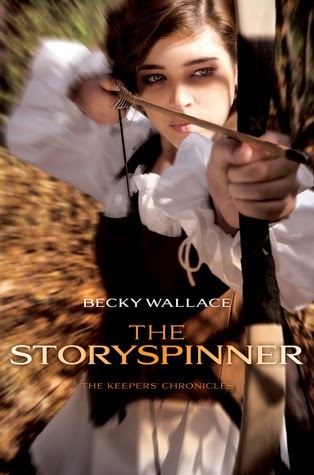 The Storyspinner is a wonderful tale with tight, complex and multi-layered world building, many and varied well-rounded characters and a tense, thrilling story that keeps the reader thoroughly involved in the story. Johanna and Rafe are the perfect couple, but there is no insta-love going on here. Their relationship starts out very rocky and takes time to work itself out. They begin to respect each other first and that takes a while, which is very believable and wonderful to read about. There are so many layers to this story. 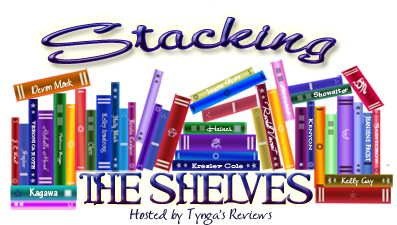 With differing pov's between Johanna and Rafe and the Keepers, the reader is nicely kept abreast of what is going on in all areas of the story, and there are several different story arcs. There are also 2 different romances going on here and both of them are exceptional. The second is not integral to the story but is no less fun for that. Ms. Wallace has created a world that is solid and believable. There is a slight medieval feel to it, but also a little bit of ancient Greece. You'd have to read it to understand why really, but it's the idea that there are higher beings somewhere looking out for you, only not quite. Sorry, that doesn't really make sense, but it works, on all levels. I have to get this off my chest - I really don't like this cover. I realize that it is entirely suitable for the story, but it just doesn't do the story justice at all - it makes it look Robin Hood'ish and that is so inaccurate. I am certain many people will pass this one by because of it. Just my opinion, but I had to say it. 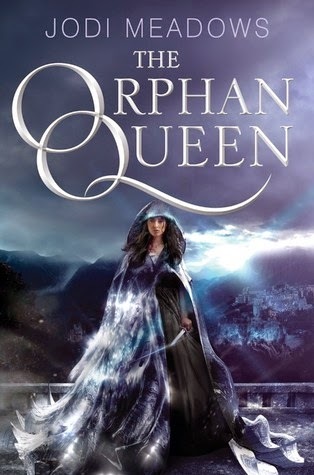 If you enjoy complex world building and believable characters in an engrossing fantasy, pick this one up asap. You won't regret it. Have you come up with any special memes or features on your blog that you’d like people to visit more? A note from Curlypow - this meme now runs on any Sunday that we have content. Sometimes a few weeks go by with none, then we'll have several weeks with highlights. Christinabean and I love this meme. It's just so great to help out new authors. We use our memes to categorize titles which might be of use to our original targeted audience, educators and librarians. 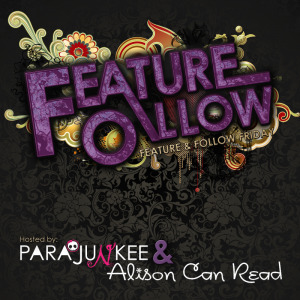 Of course we love for readers of all backgrounds to follow us but when we originally started The Paperback Princesses, it was because we wanted to share information with others in our field. Now, it's just become something fun that we've been working on for nearly FIVE YEARS! !